Historic and bustling, Arlington, Virginia is a forward-thinking community with deep roots. More and more residents are pursuing solar panel installations. It’s easy and smart to invest in your own energy and installers like us make it straightforward and simple. Today’s solar panels meet at the needs of Arlington residents, from sleep aesthetics to high wattage to help reach maximum offset of utility power. 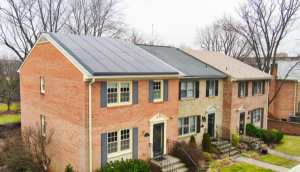 Residents are taking advantage of limited-time federal incentives and a helpful program from the electric utility that together make solar a great way to save on energy bills. This diverse community includes neighbors with all kinds of homes – from newly built to properties that have stood over 100 years. Many have something in common: great solar potential. That means the ability to become more autonomous and move away from the electric provider. Your local solar pros with Ipsun Solar are here to help you understand your opportunity to join the solar movement. Get a quote today and find out how you can save and succeed at your energy goals with solar.